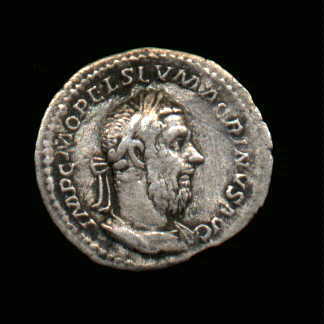 Born in 164 or 165 AD as Marcus Opellius Macrinus. He later assumed the name Marcus Opellius Severus Macrinus. He became a Praetorian Prefect under Caracalla. In 217 a prophecy was heard of that stated that Macrinus was soon to become emperor. 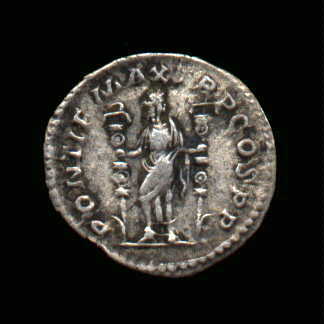 Macrinus had Caracalla murdered on 8 April 217 AD and on 11 April was saluted Augustus by the Eastern Armies. After reducing pay rates for the legionaries, the army mutinied in Syria in early 218 AD. A large donative proved inadequate and Macri nus and his son, Diadumenian, who had recently been elevated to the purple, were murdered in June 218 AD.